Embarkation in Cannes. Before setting sail, take time to stroll along the world famous Croisette and walk past the Palais de Festivals complete with its legendary red carpet. From Cannes, navigate the short distance to the Iles de Lérins where you will find plenty of little coves that are perfect for your first dip in the Mediterranean. St Marguerite is covered by a pine and eucalyptus forest with several footpaths running through it. Smaller St Honorat has a pretty Monastery which is open to visitors. Anchor between the islands for the night and enjoy dinner onboard. Sail along the coast to Villefranche for a swim in the spectacular bay before heading further east to the Paloma Beach Restaurant which is tucked away on the exclusive St-Jean-Cap-Ferrat peninsula. After lunch continue onto Monaco, the ultimate destination for the super rich. Here take time to visit the Prince’s Palace, check out parts of the F1 race track and to try your luck in the distinguished Monte Carlo Casino. For a once in a lifetime dining experience, reserve a table at Alain Ducasse’s Louis XV. Today sail west to Antibes. Spend the morning resting on La Garoupe beach or on one of the wild beaches in the ‘Baie des Milliardaires’. Enjoy lunch aboard the boat before heading into the town of Antibes to do meander through the narrow streets of the old town or to stroll along the port. The Picasso museum, housed in the Grimaldi château, is also a must for any art aficionados. 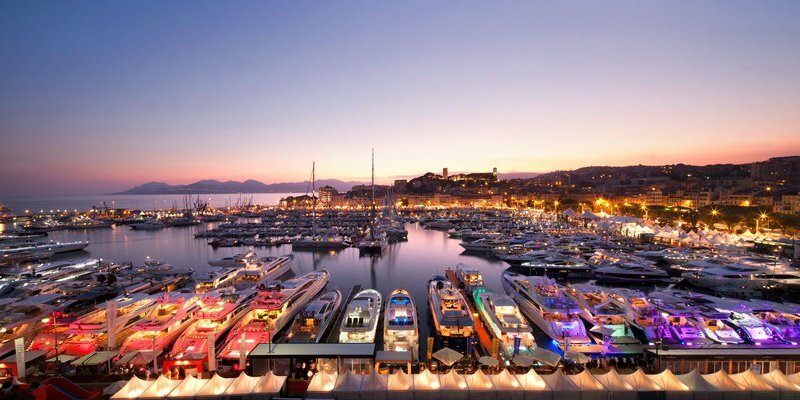 For dinner try the fusion restaurant La Cafetière Felée, before sailing to the Cap d’Antibes to anchor for the night. This morning set sail for St Tropez. Anchor off the sublime Pampelonne beach and enjoy lunch in L’Orangerie or another of the inviting beach restaurants. Later in the day head into the picturesque village for some retail therapy. St Tropez’s typical provençal buildings house a number of designer stores including, Hermès, Dior and the local favourite, Façonnable. Have dinner in town before moving onto one of the sophisticated nightclubs like the VIP room or Les Caves du Roi. Dock overnight in the port. Today is all about relaxation. Navigate to the nature reserve of Porquerolles, famous for its unspoilt beaches and lush vegetation. Anchor off the Cap Taillat to bathe in the paradisiacal turquoise waters. Admire the stunning scenery while you have lunch on the boat, then spend the afternoon exploring the island. Bikes can be hired from the village and are the perfect way to get around and see the island’s vineyards and olive groves. For dinner, book a table at the refined Mas du Langoustier. Overnight anchorage off the island. Spend the day leisurely sailing around Port-Cros and the neighbouring islets of Bagaud and Gabinière. A designated national park with stunning flora and fauna, Port-Cros is perfect for enjoying some peace and quiet. The pristine waters are also protected and offer spectacular opportunities for snorkelling and scuba diving. Late in the afternoon navigate back to the port in Cannes where you will dock overnight. For a truly Provençal experience, take a taxi to Le Candille in Mougins for dinner. Sail out into the Mediterranean to anchor for breakfast looking out over the sparkling blue waters. Spend a relaxing morning swimming and sunbathing before having your final lunch onboard the boat. In the afternoon, return to Cannes for disembarkation.